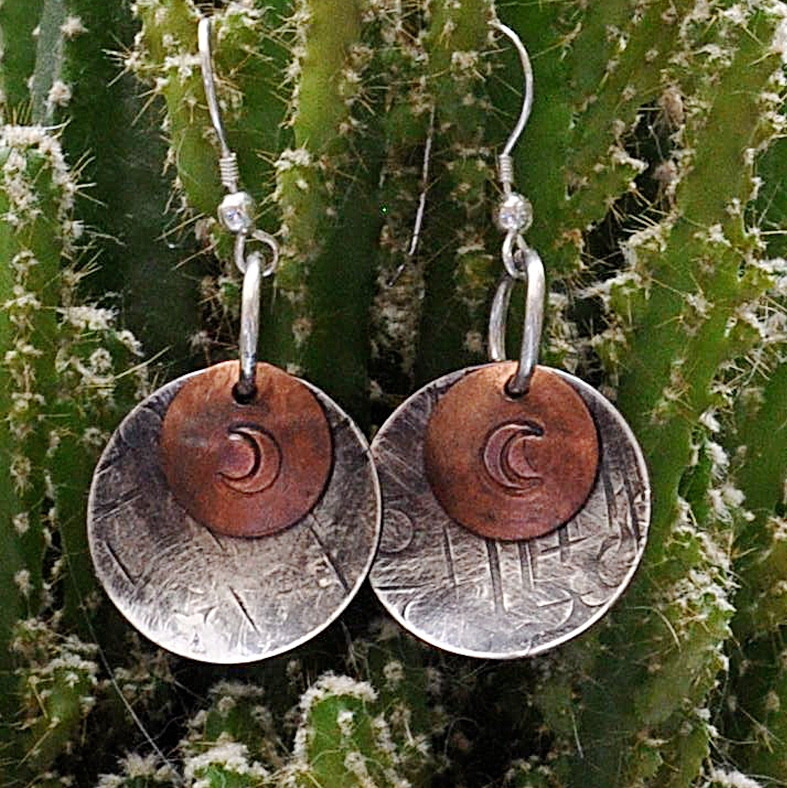 This Saturday, March 10 11-1:30pm, we are offering an introduction to metal working with silver and copper. Join artist Larry Pile and learn fundamental jewelry skills that can be applied in many, many ways. We will begin with a sheet of sterling silver and copper, sterling wire and jewelry tools and make a pair of beautiful bi-metal earrings. 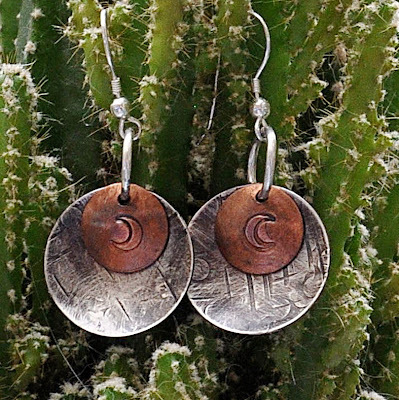 Students will cut out discs, stamp, texture, patina, pierce and assemble our creations and leave with a beautiful piece of work and some newly developed jewelry skills. Visit our website to register and learn more about this super class! Here are a few links to some of our favorite jewelry artists: Odette and The Golden Smith. Get inspired!